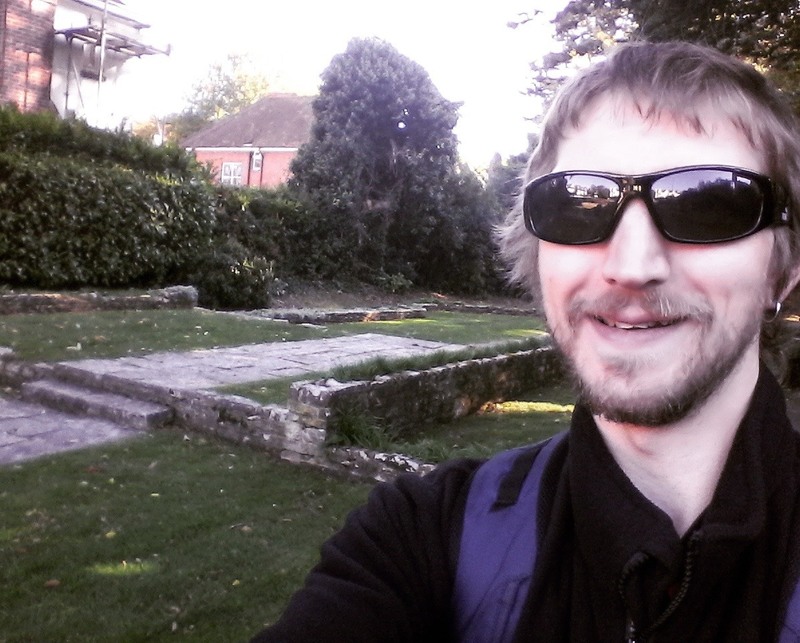 You might have read some of my previous articles on Bournemouth, Poole and Hampshire on here. This part of England’s South Coast has a lot to offer the everyday tourist and long term nostalgic culture struck backpacker. This short article is all about Westbourne and Alum Chine. 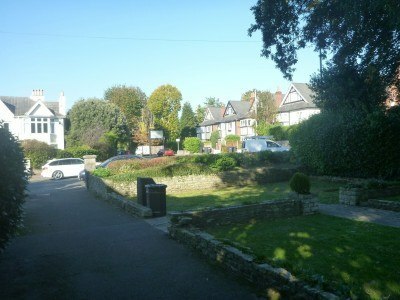 These are two districts in the west part of Bournemouth, near County Gates, the border to Poole. From the main train and bus station in Bournemouth, there are a few buses that head this way. 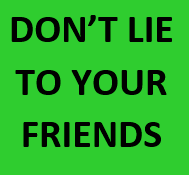 If not, get any bus to Bournemouth Square and from there, get a Yellow Bus 1a, 1b or 1c or an m2 bus. A few of the other buses also go up this way. 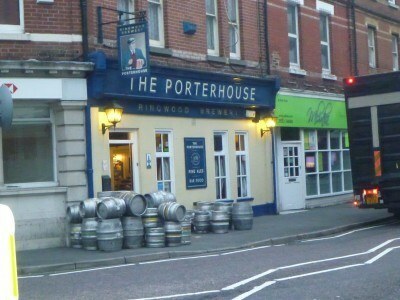 You can alight when you arrive in Westbourne, you will see the pub the Westbourne on the corner. 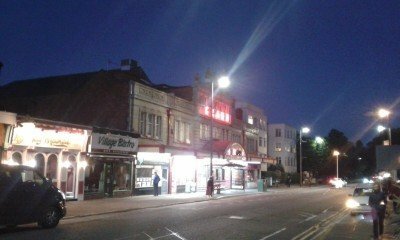 Here are my personal top sights in Westbourne and Alum Chine. Skerryvore is the name of a Scottish Lighthouse. But it is also the name of Robert Louis Stevenson’s Old House here in Westbourne. Yes, the famous author that wrote classics like Treasure Island and Dr.Jekyll and Mr. Hyde. 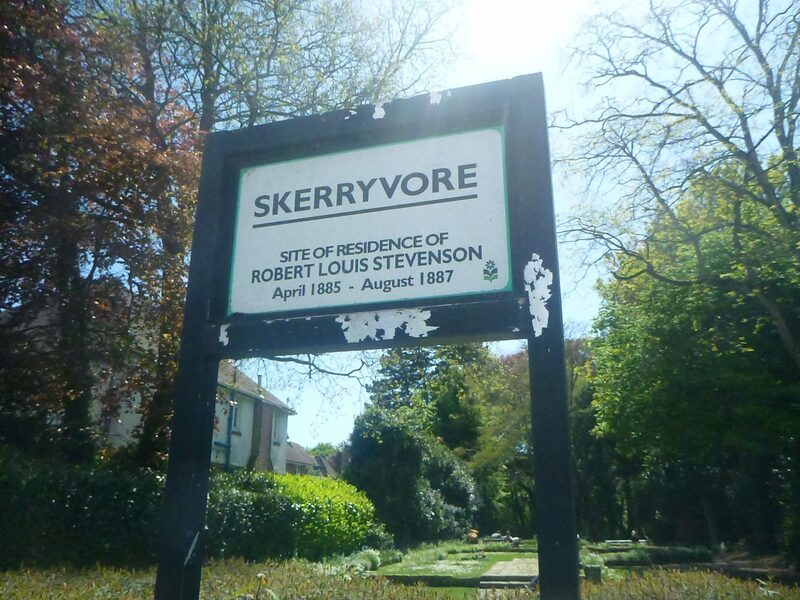 Skerryvore has been maintained by the local council here and the house no longer sits here – it is simply the land where the house once was and the ruins of the building. The great thing is it is free to walk around, has a sign up at the front and also leads down into the Woods. It’s all a bit magical and Treasure Islandish. 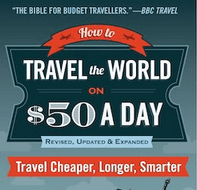 My book, Backpacking Centurion also takes some inspiration from my visit here and my time on the beach and in my mate’s flat round the corner. Bournemouth is a top class seaside resort famous for beaches. 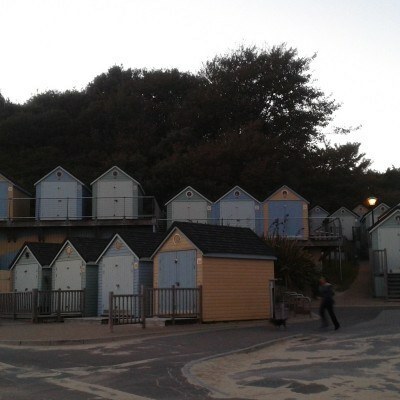 While Boscombe and Bournemouth beaches tend to be packed in summer, the real charm and relaxation comes here at Alum Chine. It’s more quiet. It’s less rock’n’roll and more jazz. As a 35 year old returning to a town I first visited when I was 14, it felt like I’d matured and mellowed. Sunset in Alum Chine. Magical. Yet there is a still a bar, restaurant and ice cream kiosks in the busy summer months. 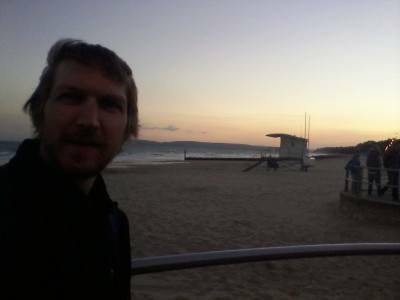 I could argue that this is my favourite beach in Bournemouth even though I spent summers working by the main beach. 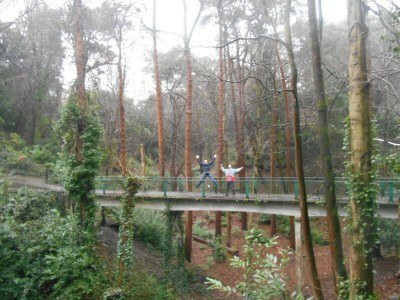 The dander (walk) from Westbourne through the Alum Chine woods down to the beach is stunning. 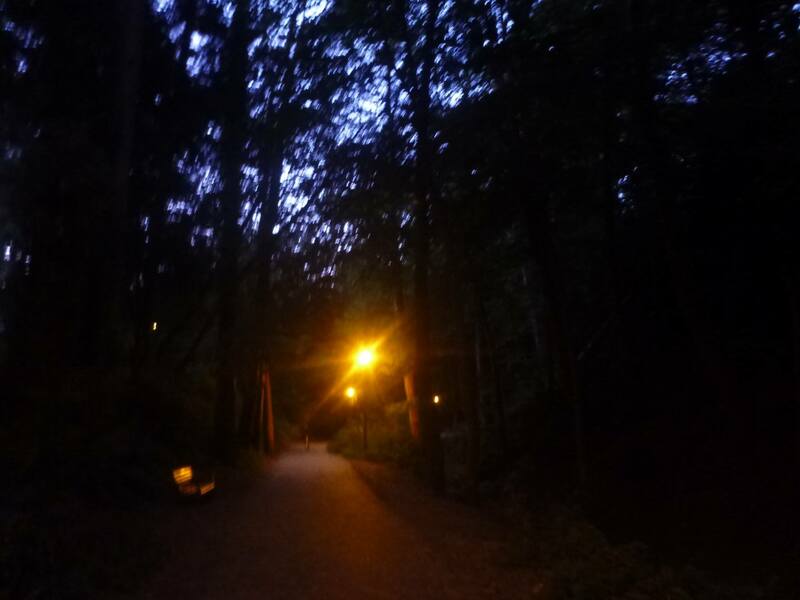 It’s a very sensual forest walk through what is a forest valley hidden behind housing estates. Many people walk their dogs here and the trees branch up so high, it feels a lot more enclosed than you’d expect. As a bonus there is also a bridge here in tribute to Robert Louis Stevenson and you can do “the Stevie” on it. 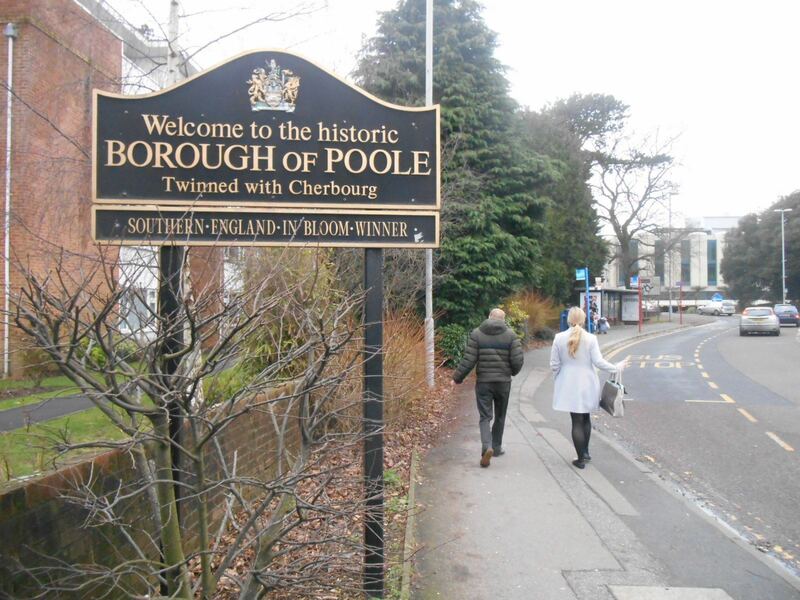 This quirky mini town centre is a village on its own away from central Bournemouth. Even better, it’s less commercial than most. OK, there are brand name banks here (Lloyds and NatWest) and a Boots and Tesco, but there are lots and lots of poky wee local shops, cafes, barbers and newsagents. 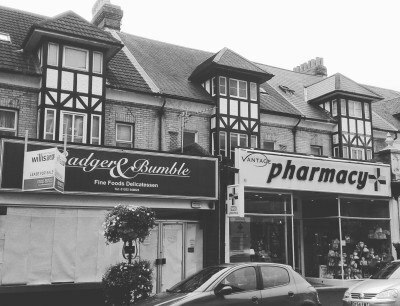 The high street also has Tudor style exterior on some of the housing. It all looks traditionally English by golly. Down the Westbourne Arcade in a cafe you almost wouldn’t notice is the UK’s smallest cinema!! 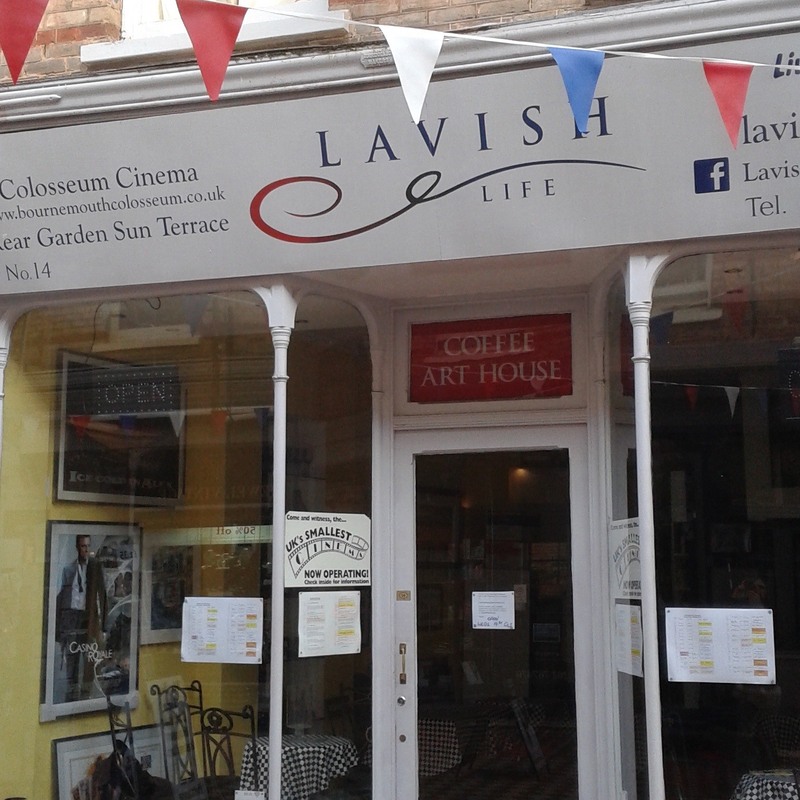 I’m not a film buff and I’ll be honest, I just walked past and looked at the listings. Perhaps someday I’ll go in just to see it, though I have only had 2 cinema visits in the last 12 years! Here’s the website for it – Bournemouth Colosseum. The cinema has 19 seats and a full size screen. 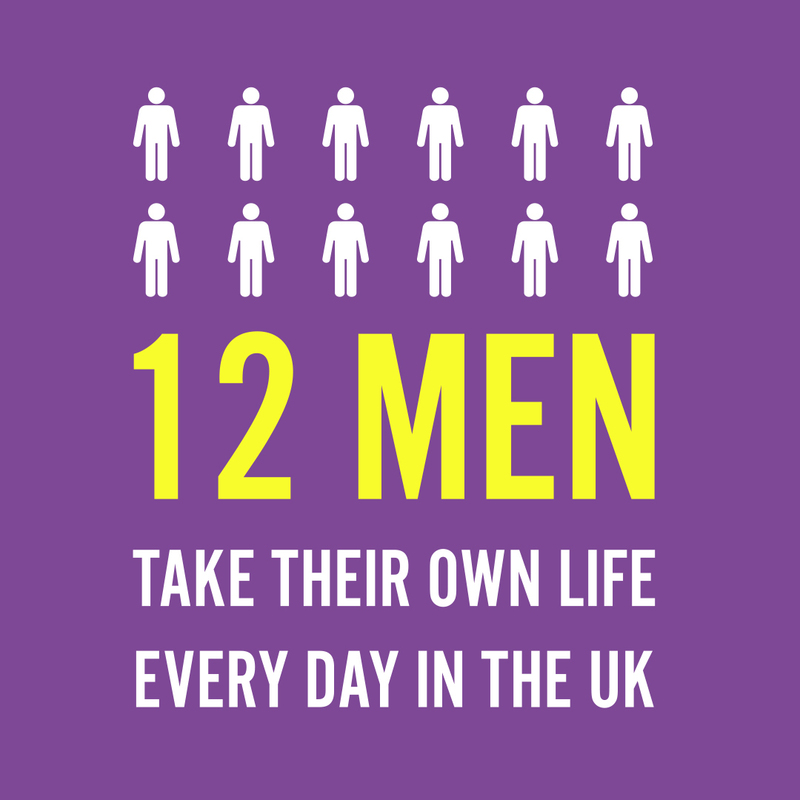 Religion is a huge tradition in the UK and though you may not sense it by talking to the majority of younger people, you see it on the streets. 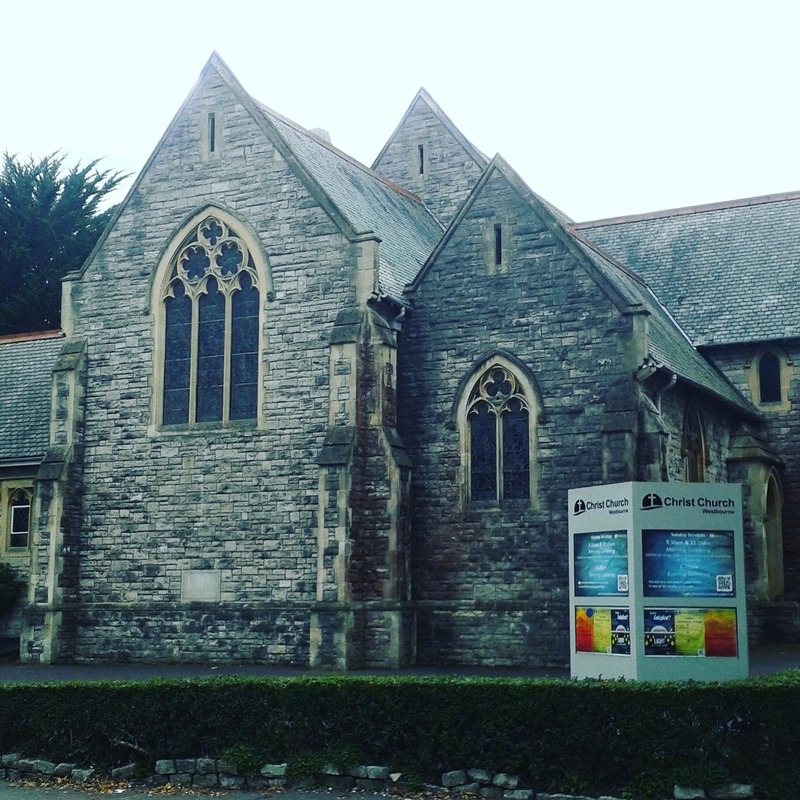 Westbourne is home to many churches and I picked out the Christ Church as my favourite church for architecture in the area. It’s an Anglican church and all are welcome. 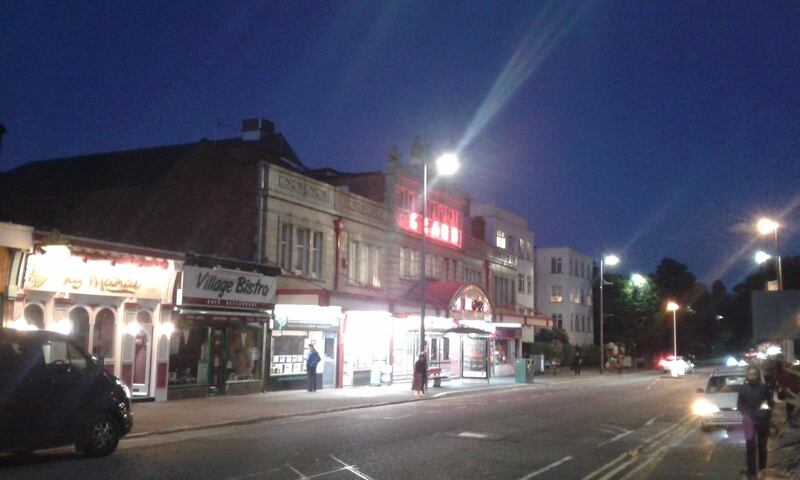 As well as housing the UK’s smallest cinema, there is a bingo hall which is also the old Picture House. Back in the glory days of film, there was a bigger cinema here. The building still sits proud and as mentioned is not a licensed Bingo Hall. 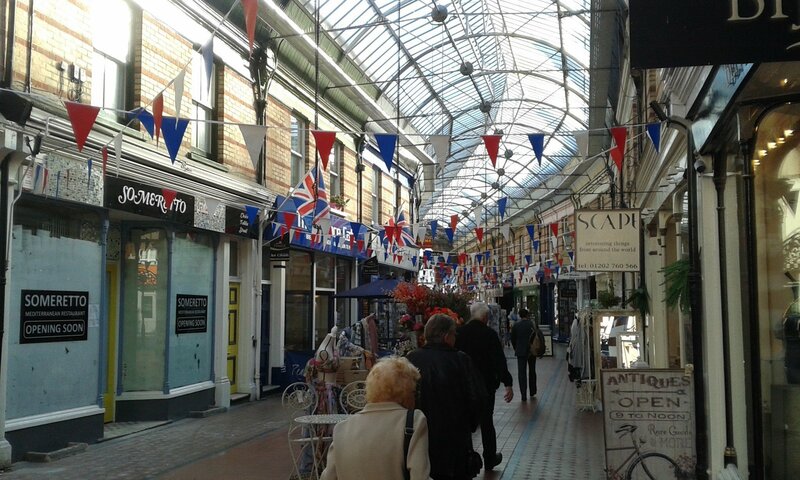 There’s something I like about traditional British towns. It’s the local and proud aspect to it. This arcade in Westbourne is typically British. 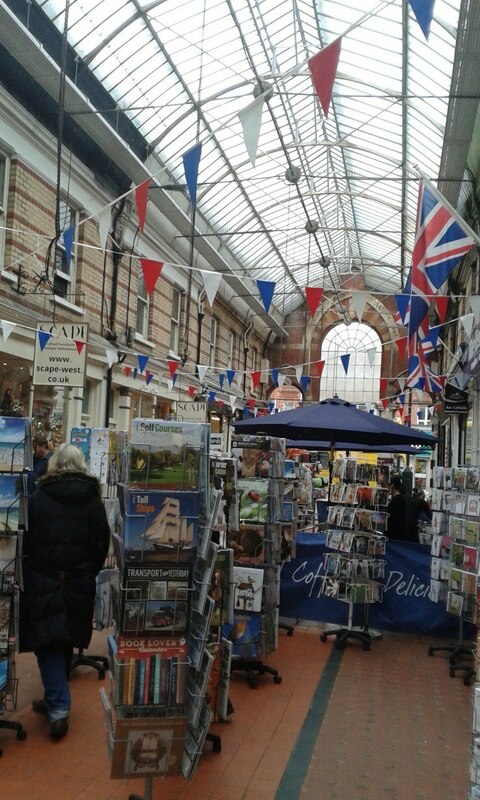 There are lots of local shops here, they sell all sorts of things from postcards and paintings of Bournemouth, Westbourne and the South Coast. There are vintage antiques shops, cafes and the red white and blue of a proud British town here. There is a great painting shop where I got a great Cherries (AFC Bournemouth) painting for my mate Austin, designed by local artist and AFC Bournemouth supporter Josie Lee. 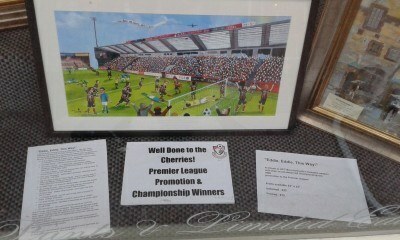 Up the Cherries! Eddie Give us a Wave painting by Josie Lee. “The Loke”. I mentioned before how I need to have a local pub everywhere I go. Even if I’m just staying in a place for 3 nights, I find a local bar that I want to call my own for my time there. 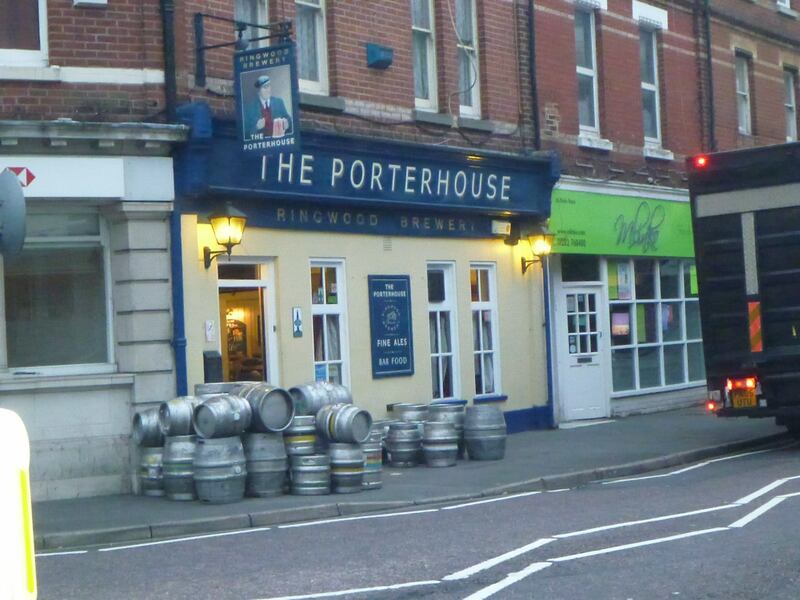 I have been to Westbourne quite a lot though and myself and my friends Dan, Austin and Patrick will term the local pub as The Porterhouse. The landlord is also a Cherries fans so we sometimes go in before or after the matches too, as well as the pub quiz on the Tuesday nights. 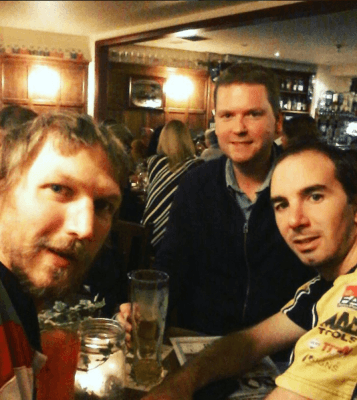 Pub quiz? Sorry, is that the real quiz? Last time we were in, I did an impression of Greth “Garif” Keenan and Patrick and I threw our shoes over a Marks and Spencers sign. England. 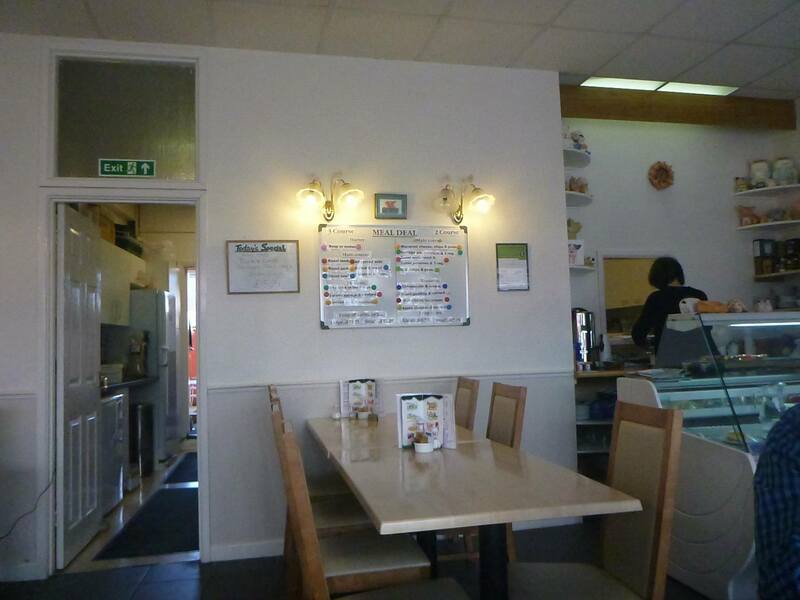 Good old England and their local cafes. 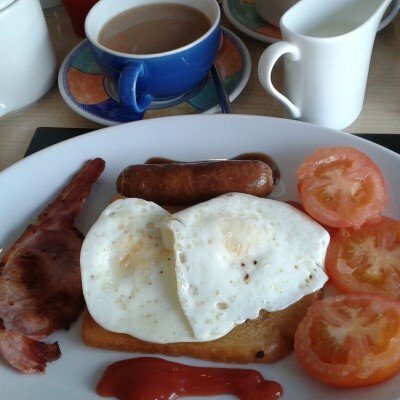 This part of English culture won’t ever go away and you can bet your life you will get a better greasy fry up and a pot of tea in a local cafe than you will in a commercial chain. In Westbourne, head to Piggies, which in on the main street just a few doors down from the Porterhouse. 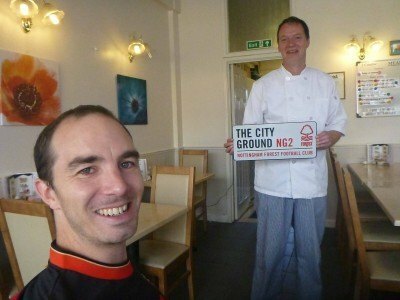 Serving great breakfasts and run by Robert Taylor, a keen Nottingham Forest fan, this is a welcoming cafe with great views and makes for a relaxing cup of tea watching the world go by outside the Westbourne window. 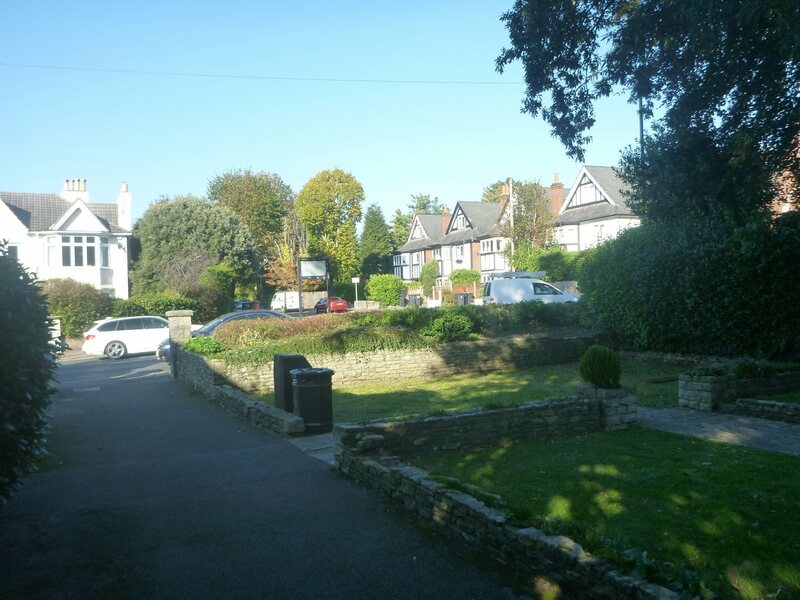 This entry was posted in Bournemouth, Dorset, England, Europe, People, Poole, Robert Louis Stevenson. Bookmark the permalink. Thanks Jonny. Give us some fantastic phtos.